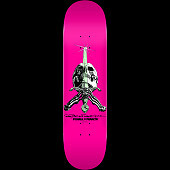 In 1977, Stacy Peralta had a top selling pro signature deck with G&S. 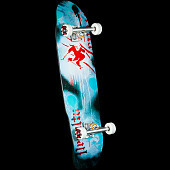 The Stacy Peralta Warptail and Warptail 2 sold over 100,000 units. When he joined forces with George Powell in 1978 to form Powell-Peralta, Stacy wasn't interested in a pro signature deck for himself. 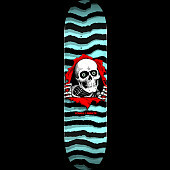 Instead he wanted the focus to be on the up and coming team he was building, The Bones Brigade. Now, almost 40 years later, the Stacy Peralta pro signature model returns. 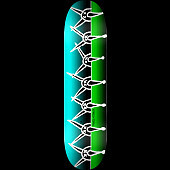 The Peralta "hipster" is a functional fun shape for cruising and carving. 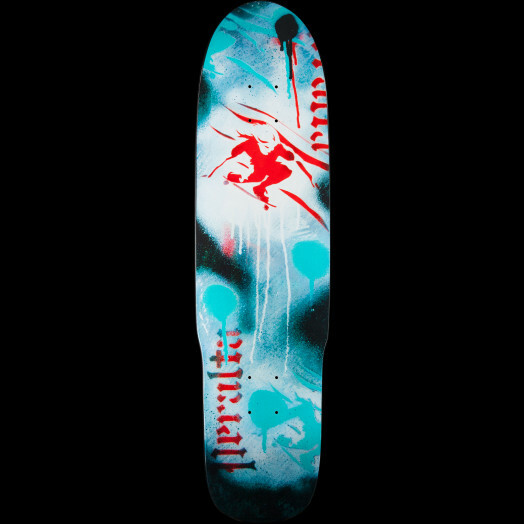 An iconic spraypaint stencil graphic of Stacy inspired by street art adorns the bottom. Peralta hipster 3 Review by Patrick A.